An exhilarating fusion of South African and Western cultures culminates in an explosion of music, song and dance. After two sell-out runs at Sadler’s Wells, the Grammy Award nominated INALA makes it’s West End debut at The Peacock. 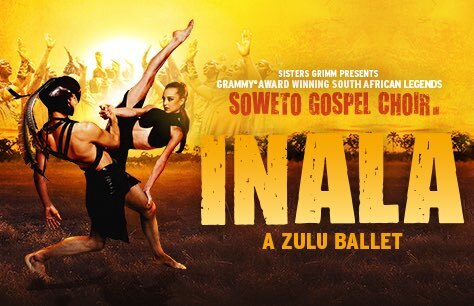 Created to celebrate 20 years of democracy in South Africa, INALA (meaning “abundance of goodwill” in Zulu) blends visceral dance with intricate rhythms of Zulu tradition to deliver a powerfully uplifting live experience. Valid ALL performances until 5 May 2019.